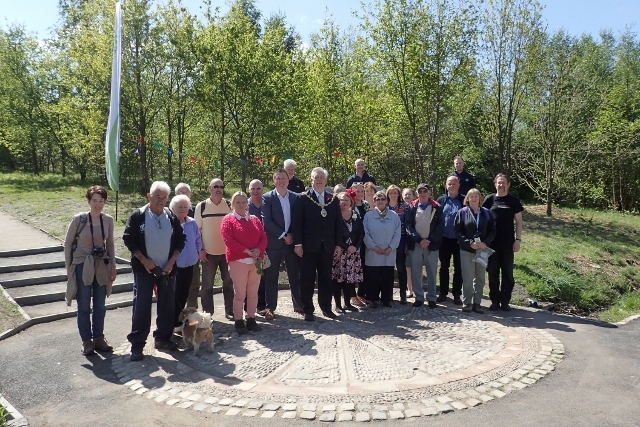 Photo: Mayor and Mayoress, Councillors Steve and Lynn Glover, Cllr Seve Gomez-Aspron and Cllr Andy Bowden, with residents and members of The Mersey Forest. St Helens Council and The Mersey Forest invited residents to join them at Colliers Moss, where a Family Nature Day took place. It was a celebration of the completion of major works to improve the natural landscape, opening it up for public enjoyment. The works included enhancement of entranceways, improvements to paths, and clearing back vegetation that was unmanaged for many years. Work on Colliers Moss has been carried out by Lancashire Wildlife Trust, after The Mersey Forest secured a £50,000 grant from Cory Environmental Trust in Britain. The event was also a chance for residents to give their feedback on the improvements, and to get involved in the planning of future activities at the green space. Family activities on the day included fairy headdress-making, flower and fungi foraging, Nordic walking and a bird box quiz. Event-goers also made some refreshing and healthy drinks on the ever-popular ‘smoothie bike’. Councillor Seve Gomez-Aspron, Cabinet Member for Green, Smart and Sustainable Borough, said: “I’m grateful for the work that The Mersey Forest and Lancashire Wildlife Trust have put in to improve Colliers Moss – it looks great and is well worth exploring. “This event proved that there’s a desire locally for green spaces. We’ve found similar feedback from our public consultation on the wider Bold Forest Park Area Action Plan (AAP) – submitted to Government earlier this month for independent examination. 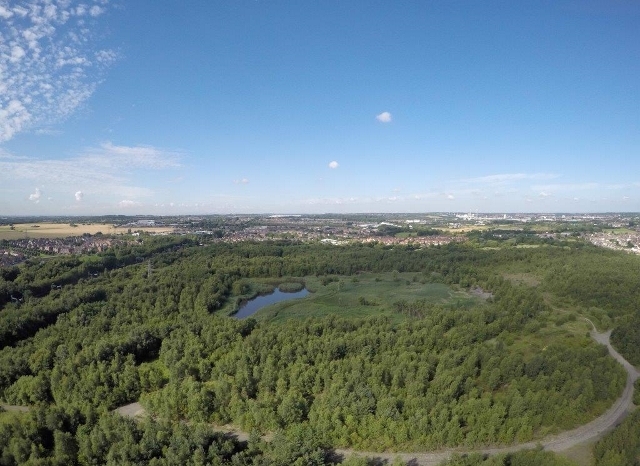 Colliers Moss is a great place to explore, with a wealth of natural and heritage features including woodlands, lagoons and wetland areas, artworks and an amphitheatre. Find Colliers Moss at Parr, St Helens, WA9 3RL. Entrance is on Brookway Lane, near Moss Lane.